Hi! 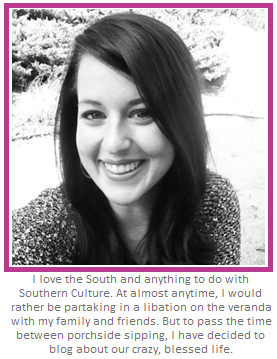 Can you believe I'm doing TWO blog posts in a day?!? Have y'all heard of Stitch Fix? I follow some rather fashionable gals on Instagram and I've been seeing their posts on Stitch Fix. It peaked my curiosity! I asked my friend, Mallory, about it and she was happy to share some information about this awesome company. 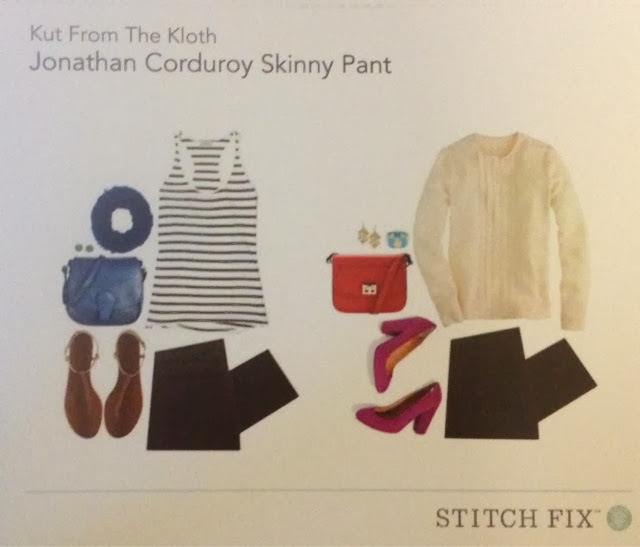 Stitch Fix is a personal styling service. You tell them your style, size, and budget preferences, and they send you a package of stylish goodies to try on at home. Each Fix is unique and hand-picked just for you. After signing up you can start immediately on your Style Profile. They need to know your size, shape, style, budget, and lifestyle to get your Fix right. The Style Profile will take about 10 minutes to complete. 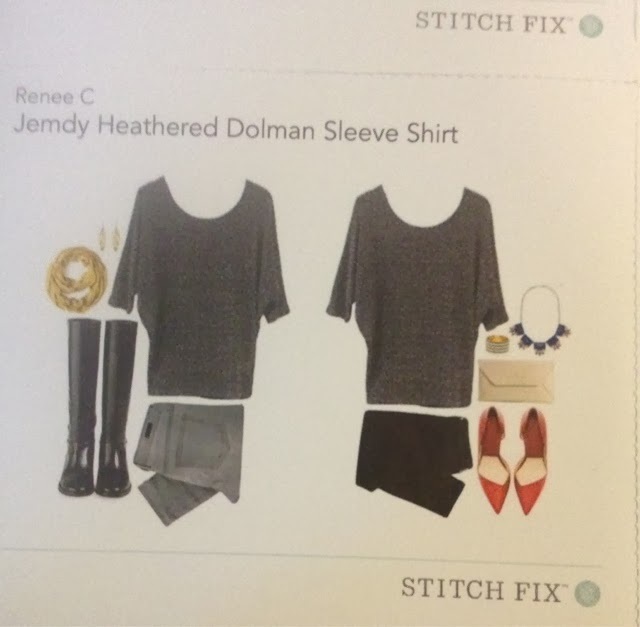 You pay a $20 styling fee when your stylist selects the items in your Stitch Fix. This $20 fee will be applied as a credit toward anything you keep from your shipment. 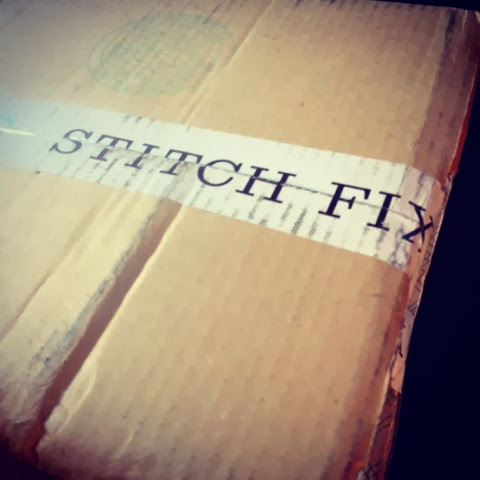 Try on everything Stitch Fix sends you—you never know what you’ll like until you see it on. Pair each piece with items already in your closet to try different outfit options. Each item includes style cards with ideas and inspiration on how to wear it. Take 3 days to decide what you’ll keep. Return the items you don't want in their pre-paid mailing bag at any USPS mailbox. 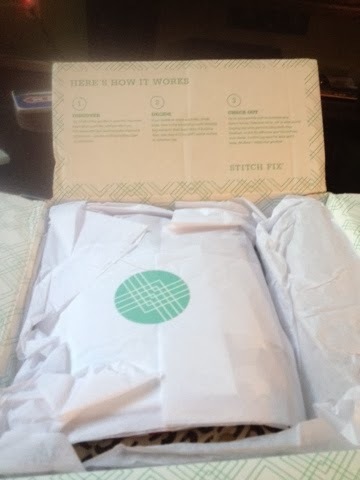 On Friday, I received my first Stitch Fix! I was so excited when I saw this package on my front porch! I received three tops, a pair of pants, and a necklace. 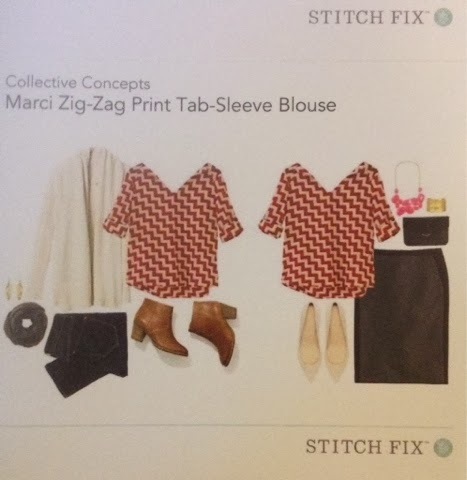 Each item comes with a styling card... giving you examples of how to pair the item with other clothing pieces.The first top was a red and white chevron top by Collective Concepts. Here it is on. 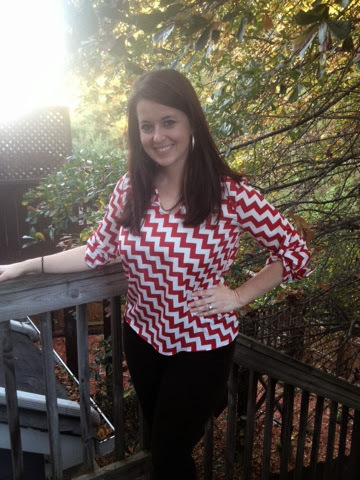 I don't love Chevron... so I didn't LOVE this top. Also, I don't think the cut was very flattering. Please excuse the bad iPhone pics. Also, I feel awkward "modeling." 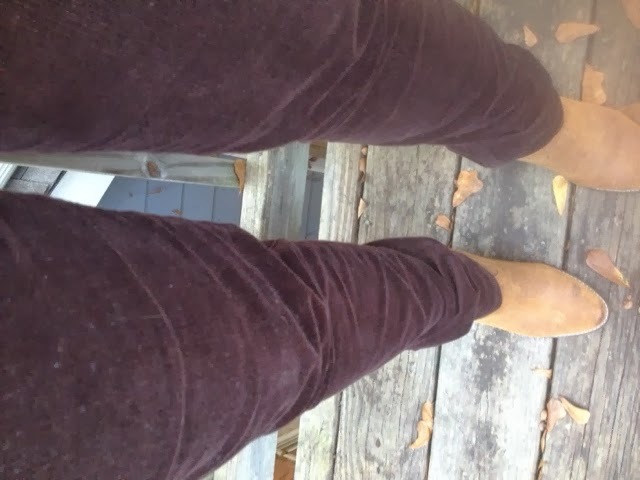 The second item was an awesome pair of chocolate colored, skinny cords by Kut From the Cloth. I have to say... I LOVED these pants. I know the picture quality isn't the best, but they fit like a glove and they are super comfortable. I would NEVER have picked these out on my own. You can see a another picture in the next look. The next item was a super cute top from 41Hawthorn. Y'all... it has horseshoes on it! I also really loved the stud detailing along the front and on the sleeves. Again, this is something I never would have picked out on my own. It is totally adorable in person. 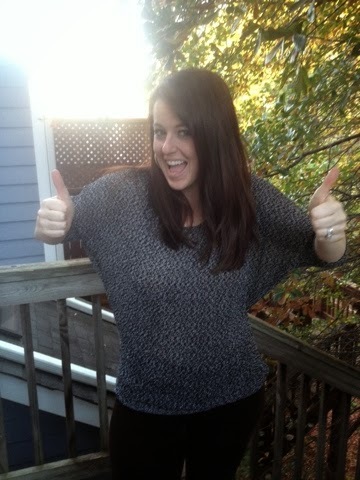 My fourth item was a top from Renee C.
This is was my favorite item! This is 100% something I would have chosen for myself. I love the color, cut, and the fabric. I want to live in this shirt. Can you see the excitement on my face?!? 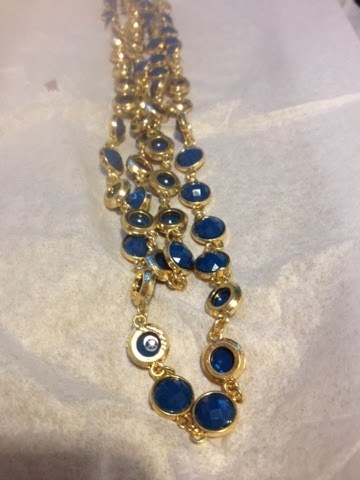 Finally, I received a really cute necklace. 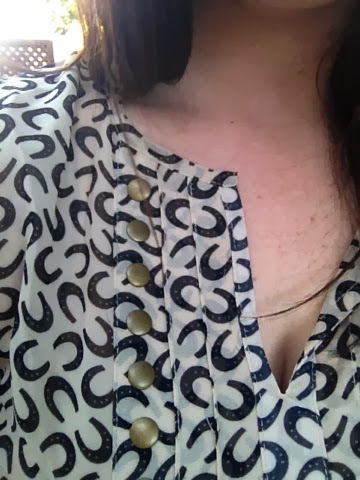 I decided not to keep the necklace because I'll probably be going to the Mart soon. I'm certain I will be returning with LOTS of necklaces. I'll be keeping the horseshoe top, the cords, and the black and gray heathered top. I'm returning the necklace and the chevron top. I was really amazed at how well "my stylist" suited my style and even found items that I normally wouldn't have chosen for myself. I will definitely keep using this service. It's so nice to try on clothes in my own home! 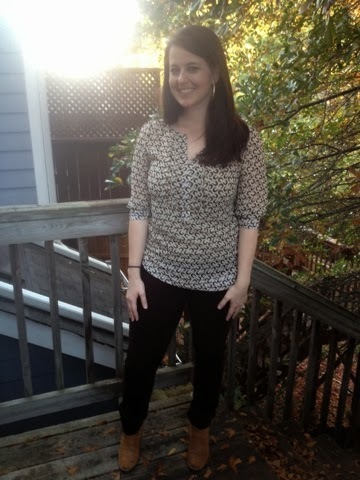 If you are interested in trying it, please go to www.StitchFix.com to get started. It's only $20 to start and that will be credited toward your first purchase. 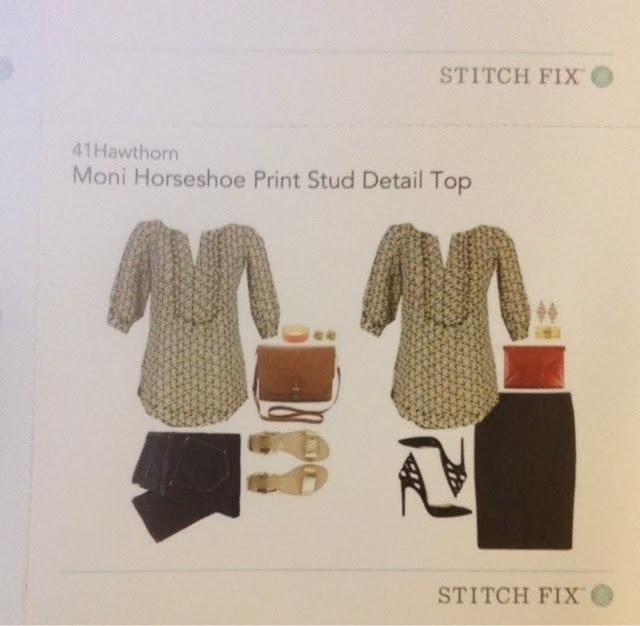 Let me know if you are already using Stitch Fix! I'd love to see what goodies you find. Talk soon, friends! *Stitch Fix did not compensate me for this post. I did it on my own... because I think this company is the bomb diggity.